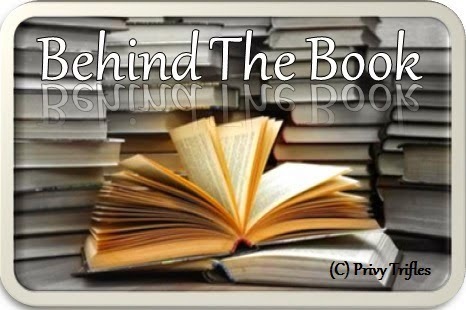 Today at Behind the book we have Olivier Lafont a very well known face for all of us as the "price-tag" star in the much acclaimed movie 3 Idiots. To give a brief about him to the uniundated, Olivier Lafont is a French writer and actor and lives in Mumbai, India. He has previously been published in South Africa. He has written many feature film screenplays. His first film opened at the Toronto Film Festival and won numerous awards worldwide. Lafont is a regular columnist with Man’s World magazine.He is also a well-known face in India due to his acting work, having appeared in Indian films such as 3 Idiots and Guzaarish, Hollywood films Bollywood Hero and Baby Sellers, as well as over seventy television commercials. Lafont graduated from Colgate University in the USA with academic distinction. What not we all know is he also happens to be a writer and that too an amazing one. His book Warrior released recently through Penguin and in his own words it is EPIC ( Well I agree with him here, you can read my review HERE on the same). 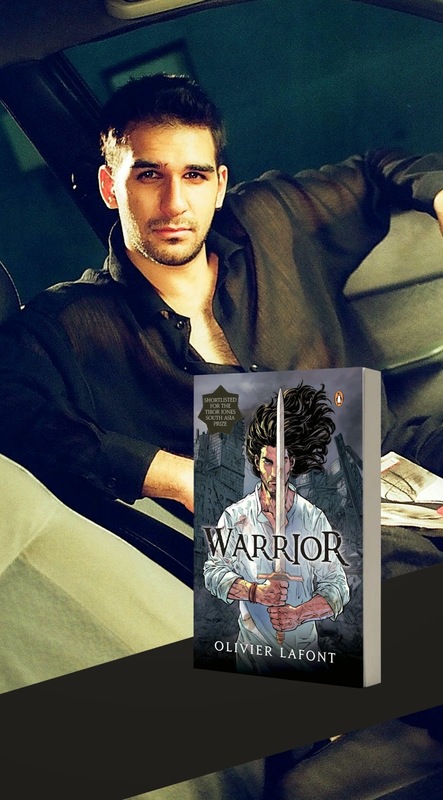 Firstly thank you so much for sparing some of your precious time to be with us here today at Reviews and Musings.Warrior is very intriguing– how did this whole thing come into being? I’ve always wanted to be a writer, from as far back as I can remember, and I’ve always been into fantasy as a genre. I also wanted to be an actor, so writing feature film screenplays was something that came naturally to me. The first avatar of ‘Warrior’ was actually a feature film script I wrote more than a dozen years ago. The idea then was to create an epic Indian special effects film, kind of like the big fantastic Hollywood summer blockbusters. Then I moved to Mumbai to write my first actual film ‘Hari Om’, and so ‘Warrior’ went into my drawer. Years later, when I had some free time I picked up the screenplay and turned it into this book. I got busy again and ‘Warrior’ went back into the drawer for a while. Eventually I found it again, sent it to publishers, and here we are today. Mumbai has a huge role to play in the story. Any specific reason? When I was writing the film script version I had just returned from university in the USA to Delhi. I was intending to move to Mumbai, and thus Mumbai was on my mind. Mumbai very naturally became the central location for ‘Warrior’, and came to mean many things for Saam, my hero, as well as myself. It became the city of beginning, of new beginnings, of ending, the place where Saam finds his peace and balance and love. That resonated very strongly for me as well. The story involves a lot of aspects of Hinduism and other things in details which would have needed a good amount of research. Can you share your experience about this? I wanted to keep ‘Warrior’ as close to reality as possible, so weaving the exact geography of Mumbai into the story, for example, and having history and precise locations was crucial to that. All the subjects I researched for the book were subjects I was already interested in anyway. And the wonderful thing about research and interests is that everything leads to something new, grows organically from one subject to another. I think I have a lot of curiosity about things and how things work, and that makes me more and more curious. It is said that, “When you involve religion or mythology in the story it has to be a very balanced view.” How much of this is true according to you. I don’t think it’s necessarily true. For example I recently wrote a novelette called ‘Purgatory: the Gun of God’ which took Judeo-Christian mythology and pushed it to one fictional extreme. At the same time I don’t think I would naturally write something sacrilegious or derogatory to any religion, I have tremendous respect for different faiths and beliefs. You’ll find in ‘Warrior’ several different ideological viewpoints which, for me, are a reflection of my experiences of India as a pluralistic country that welcomes people of all faiths and backgrounds. I think if you have respect and come from truth and innocence, you don’t need to make an effort to balance anything, your intention shines through. Given that you are an actor, how easy or difficult was it for you to keep that aspect of yours aside while writing this book. For acting needs visualization while writing needs imagination which can be without visualization as well. For me acting and writing are actually different facets of the same craft, storytelling. In fact when I write I’m acting out the story and the characters and the dialogue in my mind, and when I act I’m constructing the scene and my character and lines like a script. So it’s certainly not something I keep aside. On the contrary, the more vividly I can place myself in a scene using my actor’s imagination, the more I feel I can successfully place the reader into the story. Do you think this genre needs more exposure compared to what it is getting right now? Absolutely. I’ve always been for fantasy, and if you look at the biggest movies and movie franchises around what do you see? ‘Pirates of the Caribbean’, ‘Twilight’, ‘Lord of the Rings’, ‘Harry Potter’, and the Marvel Cinematic Universe which is nothing but modern mythology. And this is Hollywood, this is the west. Most of these are also adapted from bestselling literature. This genre in India is still fairly nascent, but I think we’re seeing the birth of a new and promising genre that can have the same cultural impact and importance as a ‘Harry Potter’ or ‘Lord of the Rings’. If asked to describe this book in one word- what would it be and why? EPIC. I wrote everything in ‘Warrior’ on an epic scale. Saam is the demigod son of Shiva the Destroyer - epic. Saam has to save the world from apocalyptic destruction in three days - epic. Saam and his group travel across India and into other fantastic worlds on their quest - epic. Saam’s love Maya is the alpha and omega of his life, nothing else matters, not even the end of the world - epic. Any future projects you are working on currently that you might want to share with us. For the first time I’ve written a feature film for myself as the main character. I’m looking for a producer to partner with for that. It’s a really fun comedy, something that should be fun to make and fun to watch. Thank you very much for your time, we would like to wish you all the best for your book! P.S: Copyright of all the pictures used here belong to the author. Please don't use without permission.